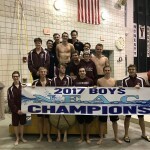 Boardman High School swimmers are returning for the 19th consecutive year to the Division I State Swimming Championships. 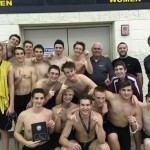 Five Spartan swimmers will be in Canton, Ohio Friday and Saturday in six individual events and two relays. Seniors Callen Aulizia, Kyle Kimerer, and David Giancola will team with Sophomores Noah Basista and Matthew DunLany on the two state qualifying relays. 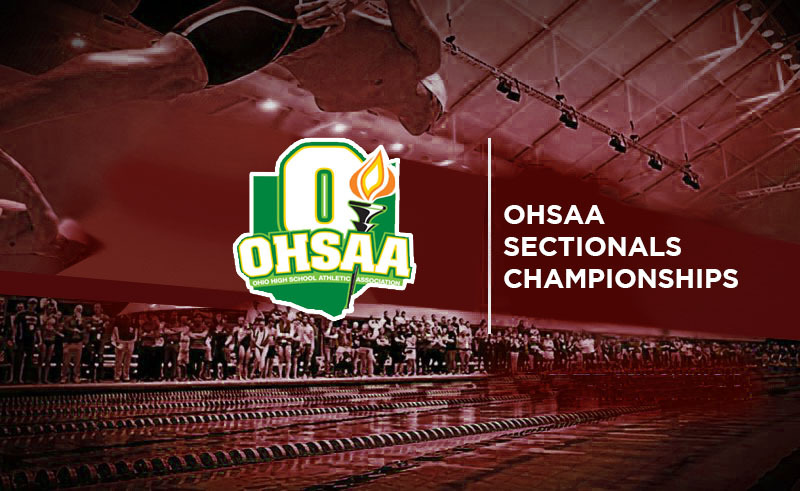 Both the 200 medley and 400 free relays automatically qualified for the state meet by placing 2nd this past Saturday at the 2018 Division I District Swimming Championships held at Cleveland State University. 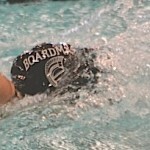 Boardman posted the Automatic All-American and school record time of 3:05.72 in the 400 free relay. 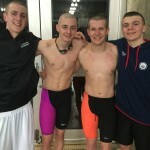 The time shattered the mark of 3:10.01 the same four boys swam in last year’s state meet. Callen anchored the 400 relay with the fastest 100 free split time (44.59) in school history. 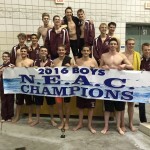 The new school record time in the 200 medley was 1:34.78 breaking the time of 1:35.07 the boys swam at the 2017 District Championship. In the very next event Kyle Kimerer swam to a second place finish in the 200 freestyle in a school record time of 1:41.84 breaking his previous record of 1:42.12 set earlier this season. His second place finish automatically qualified him to the state meet in the 200 free. Kyle came back in the 100 butterfly with the personal best time of 50.29 and earned an at large qualifier for the states. Noah Basista continued the record breaking Spartan performance in the 200 individual medley with a fourth place finish in the time of 1:56.23. His previous record of 1:56.85 was set at last year’s district meet. Noah qualified at large in the 100 breaststroke with a personal best time of 57.72. 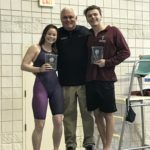 Mathew DunLany’s time of 51.59 in the 100 butterfly also earned himself an at large state qualifying spot. Spartan Senior Callen Aulizia qualified at large in both the 100 (46.09) and the 50 free (20.82) events. The Spartan girls also took down a school record in the 200 free relay with a time of 1:40.30. 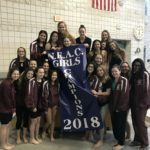 The record setting swimmers and their 50 yard splits were junior Mikel Flatley (24.93), junior Ali Kuras (25.42), sophomore Alyssa DiNapoli (25.38), and junior Jennah Markovitch (24.57). The previous record of 1:40.55 was set in 2013 by Brooke Bailey, Jordyn Markovitch, Jessica Hilk, and Colleen Manning. The record setting relay placed 8th at the meet and just missed qualifying for this year’s state meet. Senior Megan Janak also placed 8th in the 1-meter diving with a score of 328.90 points. 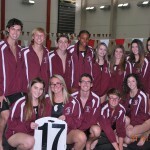 The top seven places earned positions in this year’s state diving competition. This was one of our best district performances in our 33 year history. 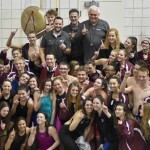 Our swimmers came out of the gate breaking school records in their first three events. That set the tone for the rest of the meet. 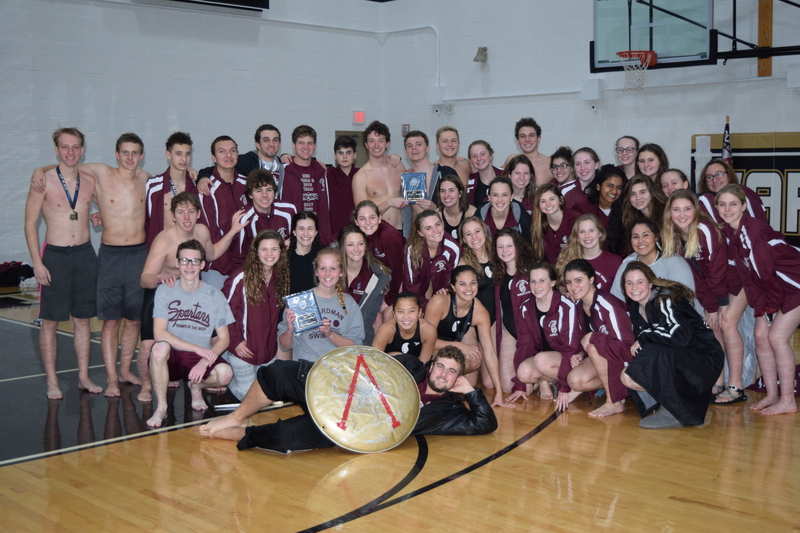 We had 22 personal best times including relays and individual events. Ending the meet with Callen’s 44.59 100 split on the 400 free relay, smashing the school record by 5 seconds, and swimming an Automatic All-American time was the icing on our cake. 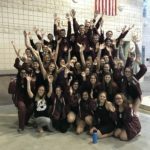 We couldn’t be happier with all of our swimmers and divers this year. 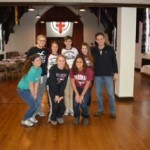 We had a great day in Cleveland and we will take our positive energy into next week’s state meet in Canton. 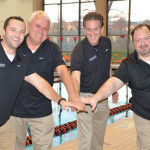 Our goal is to give state wide recognition to the Boardman community as a great place to live, swim, and dive! The Spartan boys place fourth in the team scoring with 196 points. 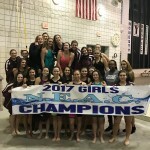 Brecksville won the meet with 282 points. 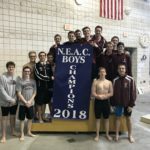 Head Coach Terry O’Halloran shared winning the “Boy’s Northeast District Coach of the Year” with Matt Davis, the coach from Hudson. 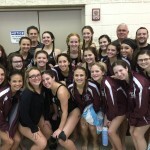 The girl’s team placed 12 th with 55 points. North Canton Hoover won with 338 points.